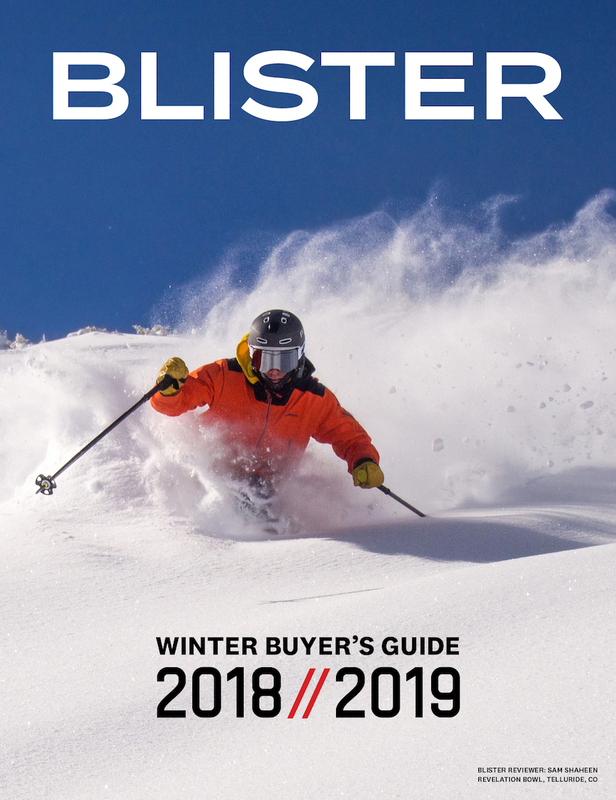 As the ski industry responds to the surge of interest in touring and skiing outside of ski area boundaries, the variety of boots and bindings designed for backcountry travel is growing immensely. 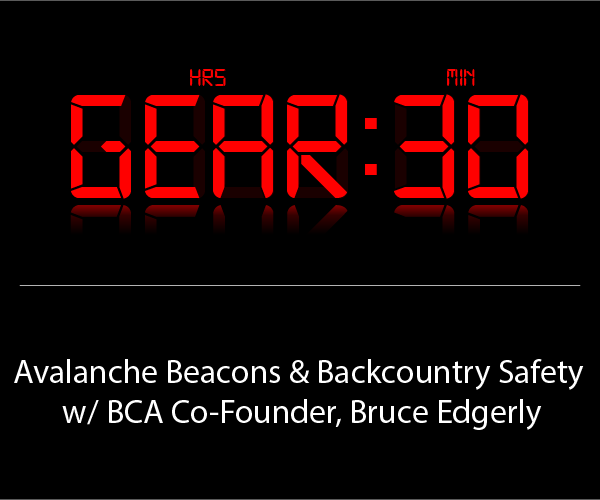 And because of the varying needs and interests of skiers, there are a lot of different styles of gear out there intended to get skiers up and down mountains. 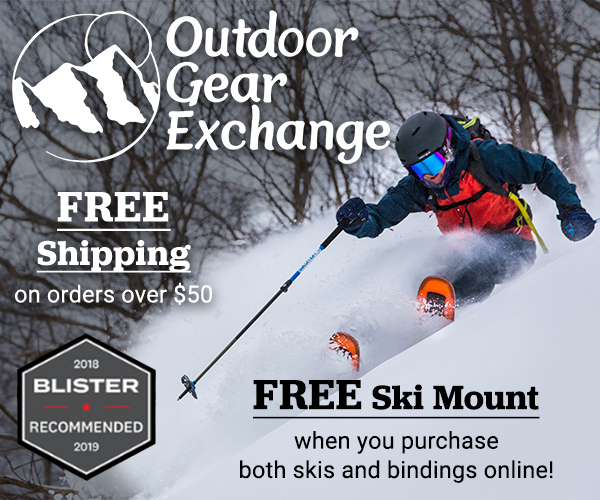 Of course, with the increase of available “AT” (alpine touring) equipment, we’ve seen a big increase in confusion about (1) what all of this gear is really for, (2) what type of skier it is really for, and (3) which boots are compatible with which bindings. So we’ve put together this breakdown of the different categories of bindings and boots currently available. This is not an exhaustive list, but it should be a good start for anyone trying to wade through the marketing hype, acronyms, and hyperbole surrounding this equipment, and it is a document that we can and will be updating. First of all, we’ll try to clear up boot sole standards as determined by the International Standards Orginization, typically referred to as ISO. For our purposes we’re mainly going to reference ISO 9523 and ISO 5355. 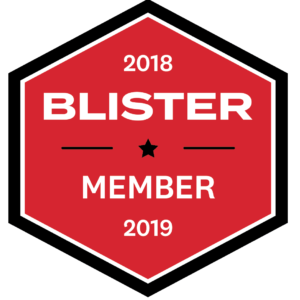 The ISO 9523 standard applies to most dedicated ski touring boots, and is characterized by boot soles that are rockered for easy walking and have soft rubber for better traction than the hard plastic of a traditional alpine boot sole provides. 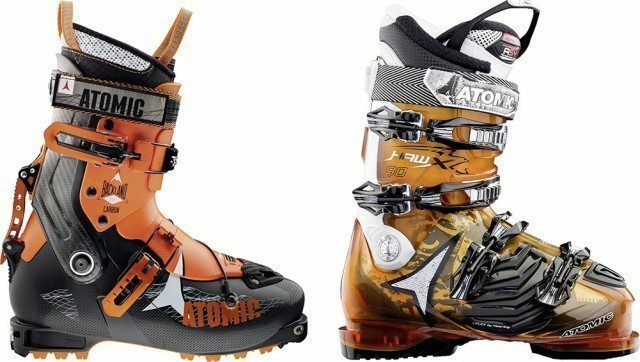 Notable exceptions to this include randonee racing boots, the Dynafit TLT6, and the Atomic Backland boots, which are for tech bindings only and do not adhere to ISO 9523 because they are not compatible with any types of frame bindings (see below) due to the sole blocks being too short and not shaped correctly for those bindings. Paul Forward in the Salomon MTN Lab, Mount Cheeseman backcountry. The ISO 5355 standard refers to most standard alpine boots that are designed with flat soles and standardized dimensions. They are designed to work with any alpine binding, and are also compatible with frame-style touring bindings. A third and newer standard is Walk To Ride (WTR). WTR boots are less rockered than a typical 9523 sole, have hard plastic pieces at binding interfaces, and are intended to work with specially designed ski bindings that also bear the WTR moniker. WTR boots are typically close in design to traditional alpine boots, though they can also have tech inserts. Tech bindings (sometimes mistakenly referred to as “Dynafits” — in the same way that waterproof-breathable fabrics are all mistakenly referred to as “Gore-Tex,” or tissues are called “Kleenex”) use a series of pins that interface with “tech inserts” in the toes and heels of compatible boots. Most of the boots mentioned below except for the some of the “alpine boots with walk mode” have these inserts. We’re including newer style tech bindings like the Marker Kingpin and Dynafit Beast in this “Tech Bindings” category. Frame-style bindings are AT bindings on which the heel and toe resemble traditional alpine bindings and are connected by a metal or plastic frame. When in walk-mode, the entire binding lifts off the ski with the boot. Examples of frame bindings include the Fritschi Freeride series, Marker Duke, and Salomon Guardian / Atomic Tracker. Most—but not all—frame bindings are compatible with ISO 9523. A notable example of frame bindings that will not take ISO 9523 is the original Salomon Guardian, which was only compatible with WTR boots and alpine (ISO 5355) boots. Newer versions of the Guardian are designated “MNC” (Multi Norm Compatible), and are compatible with ISO 9523 boot soles. So check before you buy if you’re not sure which version you’re getting. Traditional alpine bindings are only compatible with ISO 5355, unless otherwise specifically stated by the manufacturer. Despite all of the ski patrollers and others you might see in the tram line who ski rocker-soled AT boots (ISO 9523) in traditional alpine bindings, this combination is not designed to have a reliable interface and safe release. WTR-designated bindings typically work with all traditional alpine boots (ISO 5355) and all WTR boots. 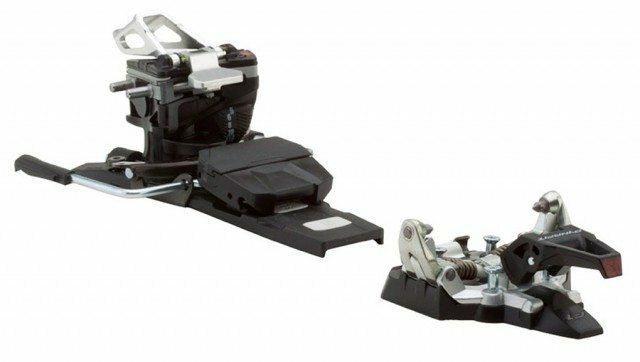 Some WTR alpine bindings, specifically the Marker Lord and the newest version of the Salomon Warden MNC (see below) are designed to work with all three standards, including ISO 9523. One final category is called MNC, and these are alpine bindings that will accept all three standards discussed above: traditional alpine bindings (ISO 5355); WTR; and rocker-soled AT bindings (ISO 9523). To my knowledge, there are currently only two non-touring alpine bindings in this class, and they are the Marker Lord and the 2016 Salomon Warden MNC. These bindings are designed with a sliding “AFD” (Anti-Friction Device—it helps with lateral release), and they have a large range of adjustment in toe height to facilitate consistent release when using grippy rubber, rocker-soled boots. I am a little sceptical about the use of rocker soled ‘midweight’ boots in frame bindings. Last season I witnessed a fellow skier sustain a lower leg long bone fracture due to non release of a Scarpa boot from a Marker frame touring binding. At the time I assumed that the individual interface adjustment was perhaps at fault, despite the fact that all the equipment was new, purchased together, and professionally adjusted. Since then I have purchased Dynafit Mercury boots, and tried them in a variety of frame type tour bindings ( I have a lot of kit around!). Using self testing of the bindings release, I am unable to come up with a combination I would be happy to ski on. My conclusion is that I will only ski these boots with tech bindings. I am qualified to adjust bindings. I suspect that in the fullness of time this particular rocker/frame combination will be shown to be high risk. I think that there is need for improved information on equipment compatibility in this area, and it does not seem to be easily available from manufacturers. Could you be more specific about which boots in this class are NOT considered ISO 9523 compatible? Well done for making a start with this article. I would be interested to see other’s experience in this area. Hi Anthony, Thanks for reading and for your question. Check out the third paragraph under “Standards” where we tried to be pretty specific about which boots are not compatible with frame bindings. Essentially it boils down to the Backlands, TLT6 and all of the boots that fall into the “random race” category. There are probably a few others but the manufacturers are doing better labeling that kind of stuff now. Best of luck finding a combination that works for you. Please pay extra care when using boot soles described by manufacturers as “AT” or “Touring” or ” iso touring” and double check that they do strictly follows the specifications set by the ISO 9523 norm. For example a Scarpa Maestrale ski boot sole is indeed ISO 9523-compliant but a Scarpa Alien ski boot sole is for sure not ISO 9523-compliant. 1. 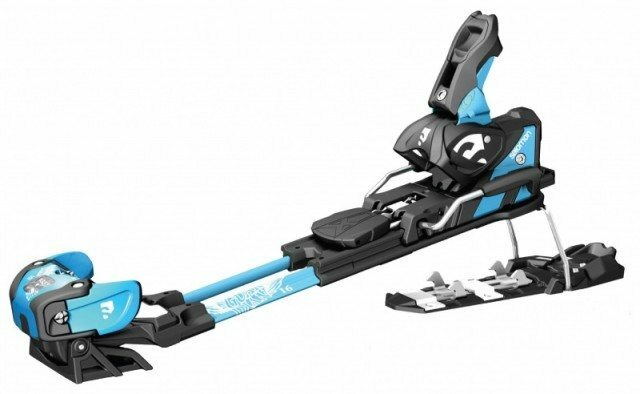 Is there any downside to the sliding AFD when used with standard alpine boots? 2. Are there any downsides to the Warden toe compared to the STH2 bindings? Specifically, in terms of release and safety. 3. The MNC has automatic toe wing adjustment, while the STH2 has manual toe wing adjustment. Automatic seems easier to set up of course, but are there any downsides to that? 1. No. The sliding AFD of a MNC-certified binding is 100% compatible with DIN alpine, WTR/WTR+ and AT ISO 9523 soles. 2. Yes. The STH2 binding is only compatible with DIN alpine and WTR/WTR+ soles but is not compatible with AT ISO 9523 soles because the AFD plate does not slide sideways. In other words, a Warden MNC binding is compatible with 3 types of sole whereas the STH2 binding is compatible with only 2 types of sole. 3. None because toe width and toe height are the same between DIN alpine soles and WTR/WTR+ soles for a STH2 binding. However, toe height might be higher with an AT ISO 9523 sole and this must be adjusted in a MNC-certified toe binding. Warning : do not use an AT ISO 9523 boot in a STH2 WTR binding ! Could you briefly talk about adjustment range of the mentioned bindings? I’ve always been confused on whether frame bindings for instance have a huge or a small adjustment range, since i’ve heard both from experienced people. But i imagine they are comparable to alpine bindings, as the heel/toe piece and distance is comparable? Am i wrong? Agree to disagree on the Spectre. I find it skis better that the TLT5 by a long shot. Skialper reviewed the Spitfire as similar in performance to the TLT6 series, and the Spectre as comparable to the Maestrale and MTN Explore. Great review. The Scarpa Maestrale RS will not work with a Marker Baron binding. Not sure about other frame AT bindings, but I experienced a huge amount of “slop” in the heel, actually wearing the heel piece on the boot after a handful of days. They have been bombproof with the Dynafit Beast though. Non of this binding compatibility nonsense with my old Ramers- you could wear one ski boot and one wooden clog if you wanted and it didn’t matter because they wouldn’t release anyway. Well this is one of my new favorite comments on Blister. Thanks for your insight. Just to clarify, are straight alpine boots without a walk mode reasonably usable for short tours? I use only one pair of skis and one pair of boots. While I do ski primarily inbounds, I would like to have the capability to do short tours. Yes. I use a Salomon X-Pro 130 straight alpine boots + Fritschi Diamir Freeride Pro AT frame bindings on +1800 m positive climbing tours without any issues since many years. All 4 buckles + power straps are left open. If you have a tight and snug fit, no blisters so far. No compromise downhill but it’s heavy uphill of course. What AT binding has the best inbounds performance? I need to ski the whole mountain, including high-speed groomers, moguls, and tight trees. Is there any AT binding out there which doesn’t really affect alpine performance? I have my eye on Guardians. I want the capability to tour, but my priority is still downhill performance. I don’t mind putting up with the extra weight on the way up. Great breakdown! I have a question regarding the interface of my Dalbello Lupo TI ID boot and the Marker Lorde binding. I purchased the boots and binding new last January. When the boot was new it came with a thick lugged “touring” sole which was replaceable, either with another “touring” sole or with a DIN certified alpine sole. Towards April the soles of the boot had worn thin. With the Lorde bindings design, I was able to progressively adjust the AFD up and forwards to compensate for the loss of rubber, maintaining proper tension of the toe. I tried to buy new “touring” soles last spring but they were sold out. I put in a special order with a local shop in August for the touring sole and it wasn’t until December that I recieved a new “Grip Walk” sole, in place of the touring sole. Now, first off I was super disappointed in the new Grip Walk sole as far as a touring/hiking/scrambling sole. This thing is thin, has plastic in the wrong places and is generally not confidence inspiring, especially on an exposed ridge, but even in the parking lot. Not impressed. Now I go to adjust the binding to the new sole but…. the sole is too thin to use the gross toe height adjustment on “High” and too thick to use with the gross toe height adjustment on “low”. The Lorde binding uses a gross toe height adjustment in the form of a pin that is unscrewed from the side of the toe piece to allow one of two settings, high or low. As mentioned previously, the AFD plate is also adjustable, a 5mm hex wrench drives a worm gear that slides the AFD along a track with a slight rise, in theory offering compatibility with all sole types. The issue is, as mentioned before, with the toe piece at the high position, there is still slop even with the AFD moved all the way forward and up. With the toe piece at low, there is not even close to enough room to allow proper release, as in waaaaay too tight. Perhaps the toe tension is set differently with the sliding AFD plate? I was taught to use a thin plastic card and adjust till it is snug but can still be pulled out when placed between the sole of the boot and the toe piece. So did I find a boot that is a black sheep or am i missing something here? Thanks!! 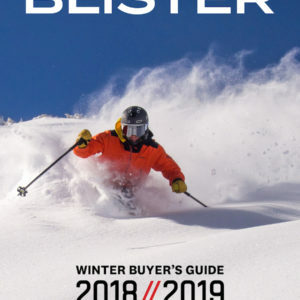 Great overview… I have traditional alpine ski boots and just bought new skis (Salomon QST 99) so I’m in the market for new bindings. 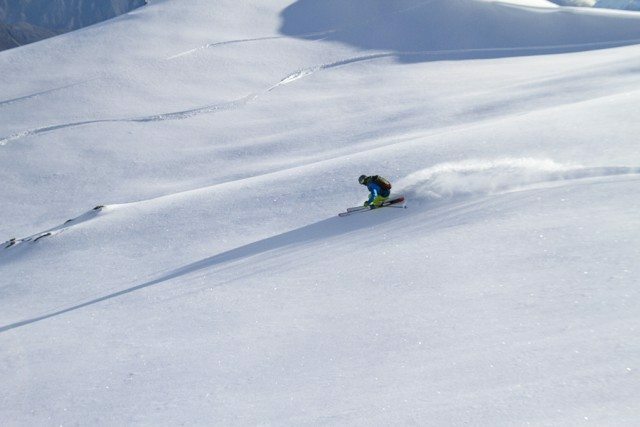 I’d like to have the ability to skin up backcountry areas; however, 90% of my skiing will remain inbounds so I don’t want to sacrifice anything downhill. I also would rather not add extra weight beyond what a typical alpine ski binding would weigh, although I don’t know if this is possible. 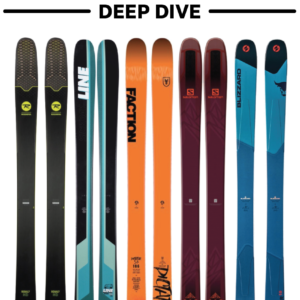 I know Marker and Fritschi make some bindings that more or less fit what I am looking for and was wondering what you would recommend. Just purchased last year’s Scarpa Gea which has a rocketed lug sole. Would these be compatible with Fritschi freedom bindings (about 10+ years old). We called Fritschi ( I live in Switzerland) and they said to take the boot and binding in to be tested by a shop that handles Fritschi bindings. They are not making the Freeride anymore. We called the shop where we bought the Freeride, 10 years ago. The Shop said that our Gripwalk was compatible but not the ISO 5355 downhill sole. Check with Scarpa or shop and see what standard it is. Debi Wong, I have nearly the same question having just purchased the Full Tilt Ascendant boot which has 2 interchangeable soles; a Gripwalk and a DIN 5355 alpine sole. Would the Fritschi Freeride Plus (2009) be compatible with either of these soles? I have emailed Fritschi and searched the web with no luck.